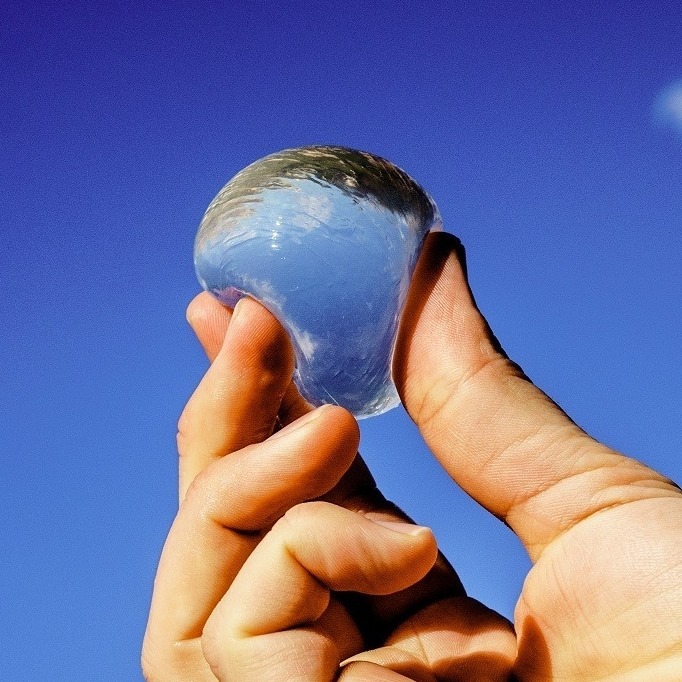 The minds over at the Skipping Rocks Lab have recently designed an edible water pod in hopes of creating a sustainable alternative to single-use bottles. Despite the fact that we’re all fully aware of the negative impact plastic water bottles have on our Mother Earth, we continue to consume them at the alarming rate of 480 billion per year. 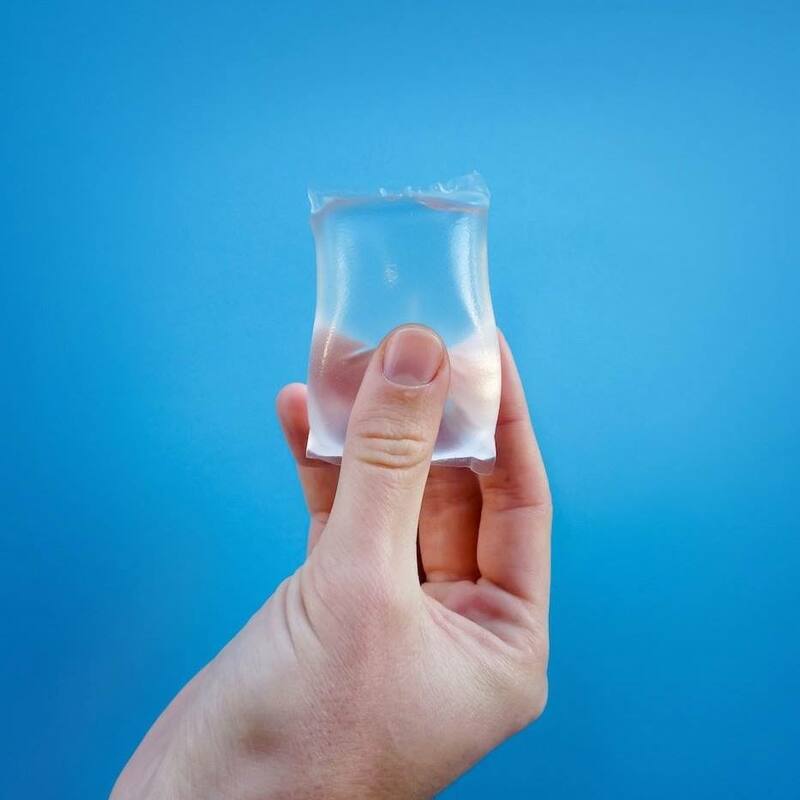 The Ooho water pod aims to provide the convenience of these bottles without all the waste. Made entirely from seaweed, each Ooho pod biodegrades in just four to six weeks — about the same amount of time it takes a piece of fruit to fully decompose. Every part of the pod is edible, and it can even be flavored and colored if you feel like working a little variation in. The pods have a shelf-life of just a few days to ensure that the water within them stays fresh. On top of all of that, they’re also cheaper and cleaner to produce than plastic bottles, yielding five times less carbon dioxide and nine times less Energy vs PET. The pod itself is comprised of a flexible casing that will eventually be used to package not just water, but also soft drinks, spirits, cosmetics, and condiments. This casing has no natural taste and can either be consumed fully or thrown into compost. It’s really just meant to keep the pod clean, so you’ll have no problem peeling it off like a fruit should you feel like it. 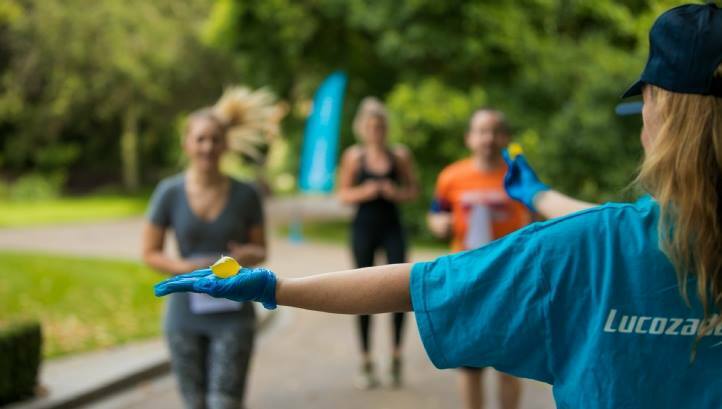 The company thinks the design will be particularly popular with those who take part in marathons and other sporting events where quick bursts of water are needed to keep going. 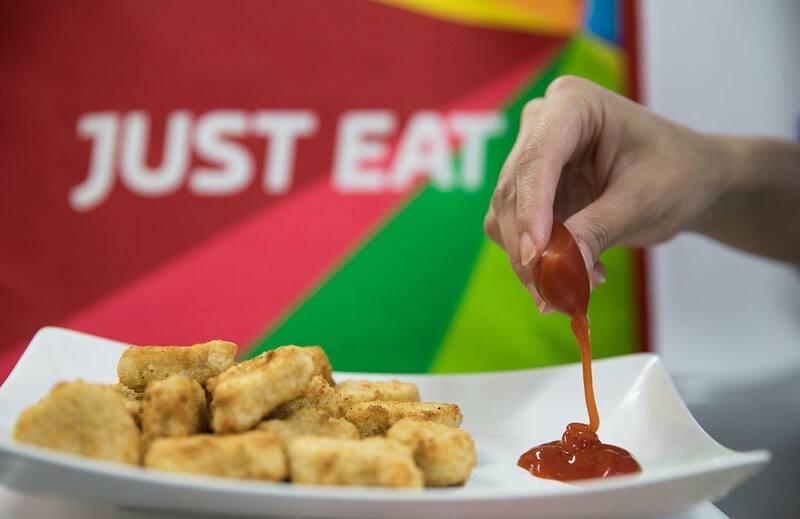 Ooho has already replaced standard sauce packets in The Fat Pizza, a UK based fast-food eatery, after a successful six-week trial run with Just Eat UK. 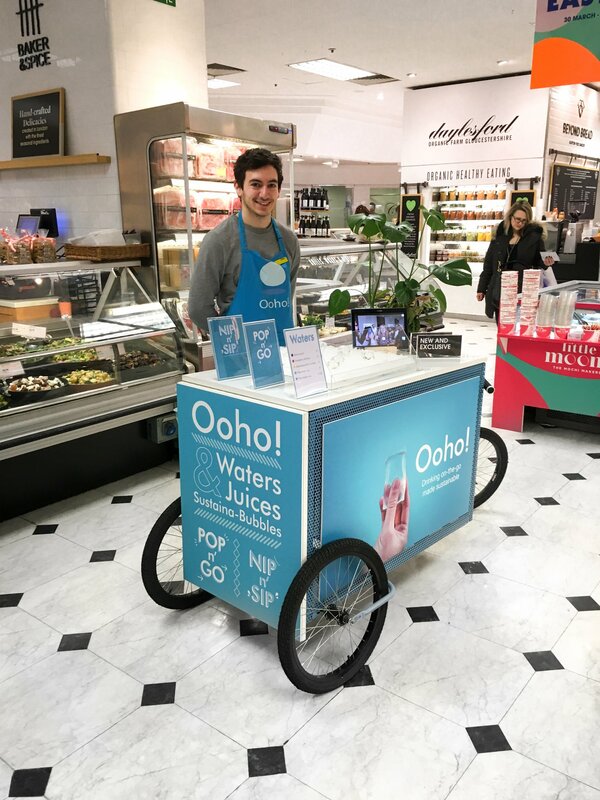 The Skipping Rocks team also celebrated World Water Day with a pop-up stand in Selfridges, where they handed out an assortment of different-colored biodegradable vessels to show people all the ways that on-the-go water can exist without being detrimental to the planet. Who’s Behind the Skipping Rocks Lab? The Skipping Rocks Lab is a sustainable startup based in London. They specialize in creating resourceful packaging using materials extracted from plants and seaweed, with the eventual goal of completely eradicating objects that have negative environmental impacts and stopping some 300 million kilograms of carbon dioxide a year from ever being emitted into our atmosphere. In 2014, the Lab was awarded the Lexus Design Award and the Environmental World Technology Award, which itself is held in association with Fortune and TIME. Later, they went on to win the 2015 SEA Award and the 2016 UK Energy Globe Award. Ooho is still in its very early days, which means that its currently only available at certain events across the globe. So far, the edible water pods have been distributed in London, San Francisco, and Boston, making appearances at conferences, private functions, festivals, and pop-up stores. If you’re interested in learning more about the product, you can contact the company directly through their website.